Nightlife legend, Victor Drai, sits down with Sancho Van Ryan and Ryan Dahlstrom from Nightclub Hall of Fame to talk about the origin of Drai’s After Hours and Drai’s Nightclub. Victor Drai just recently opened up Drai’s Beachclub & Nightclub at the new Cromwell in Las Vegas, Nevada. The night after the World Famous Drai’s After Hours re opened in its original location, Victor Drairecognized by many as The Godfather of Vegas Nightlife, sat down with myself and Sancho Van Ryan of Viva Vegas TV, to discuss his upcoming Induction Ceremony into the Official Nightclub Hall of Fame. Once we finished ironing out all the details of his upcoming induction ceremony, Victor gave us a full tour of Drai’s Nightclub and Drai’s Beach Club, explaining every detail and thought he put into the design and operational flow of Las Vegas’s newest Nightclub and Beach Club. Here are a few photos from our exclusive tour with Victor Drai. The Nightclub Hall of Fame is the Most Anticipated and Highly Sought After Accolade in Nightlife. Founded by Nightclub Industry Veterans and Bar Experts, Ryan Dahlstrom and Preston Rideout. The Nightclub Hall of Fame recognizes the most outstanding members of the Nightlife Industry, comprised of Industry Mavens and Nightclub Impresarios, whose influence is redefining the Art of Nightlife. 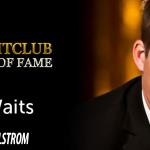 Throughout the years, Ryan Dahlstrom, Preston Rideout and Sancho Van Ryan, will recognize and celebrate Outstanding Nightlife Achievements, through annual Nightclub Hall of Fame, Inductions, Award Ceremonies, Speaking Engagements, and Global Events.